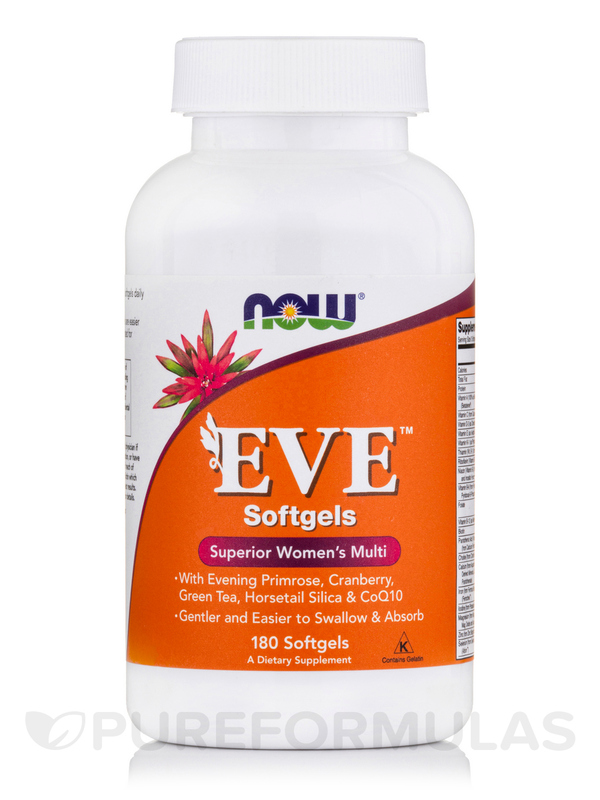 I like EVE Superior Women's Multivitamin by NOW. It is the best mutivitamin that has what a woman needs. 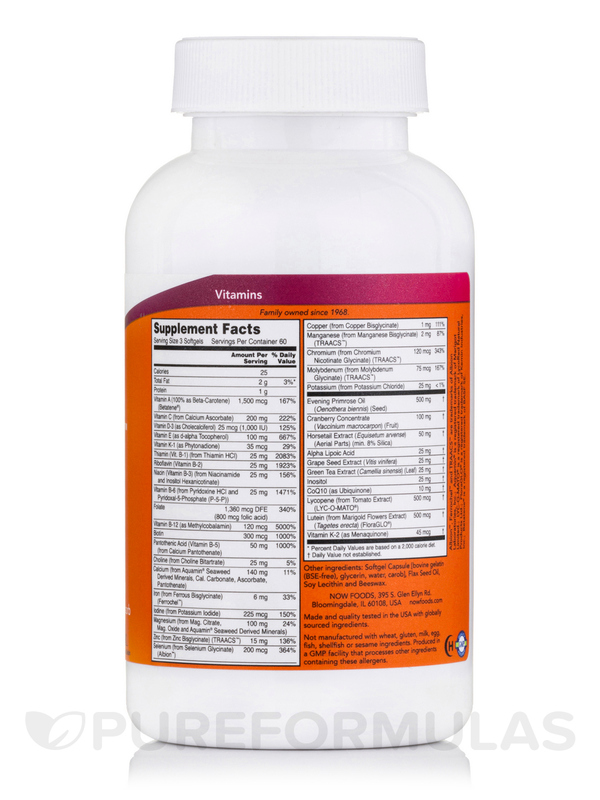 I have been taking EVE Superior Women's Multiple Vitamin for a year now (just one capsule a day). 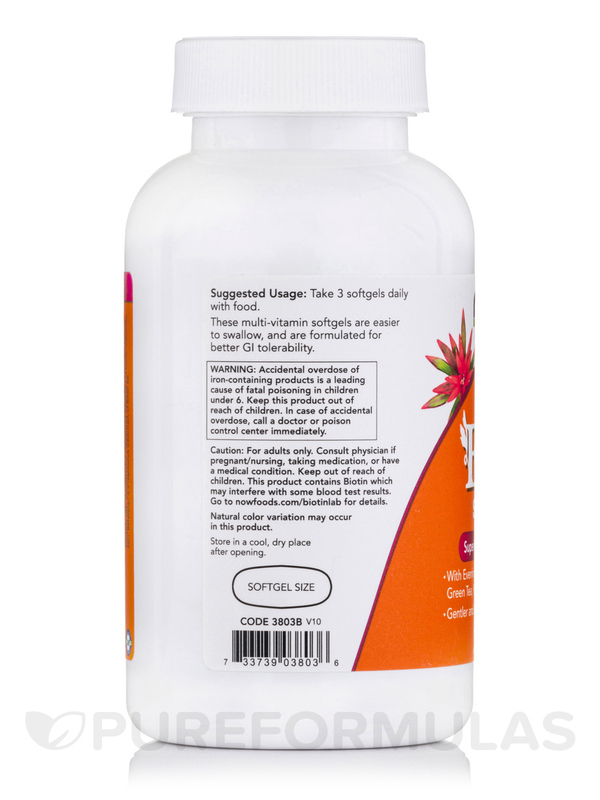 You can increase or decrease the dose per your requirement (1-3 capsules per day). - With evening primrose‚ cranberry‚ green tea‚ horsetail silica and CoQ10. - Gentler and Easier to swallow and absorb. Other Ingredients: Softgel capsule (gelatin‚ glycerin‚ water‚ carob)‚ flax seed oil‚ soy lecithin and beeswax. 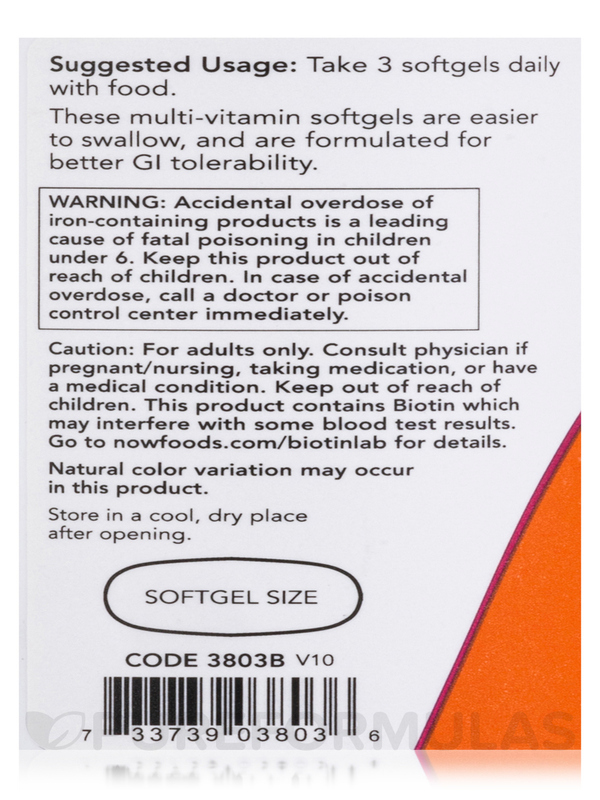 I found this EVE Superior Women's Multivitamin by NOW to be the superior multivitamin, after trying several different brands. I love that it is a capsule. 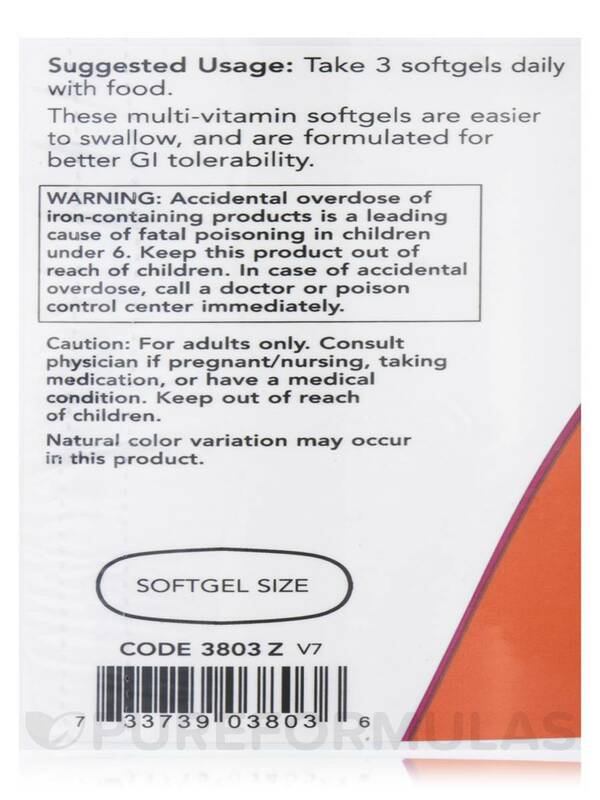 I was taking 3 a day, and just ordered my 3rd bottle. I think I may try 2 a day and see how that goes. EVE seems like a good product! I like the NOW brand products. I have not tried EVE by NOW yet finishing what I have fist. I like the Brand. I also like that they are softgels and a lot in them. There is nothing that I dislike at this time. 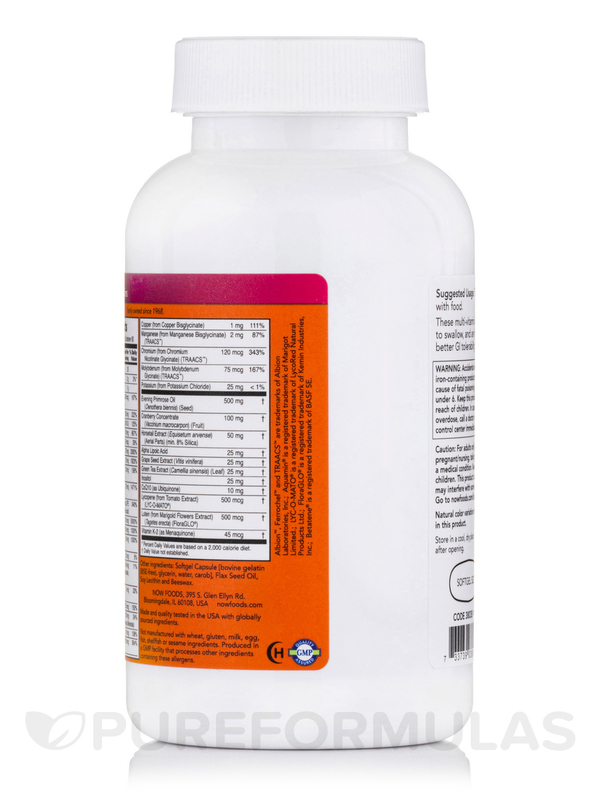 Good multivitamin with methyl B-12! 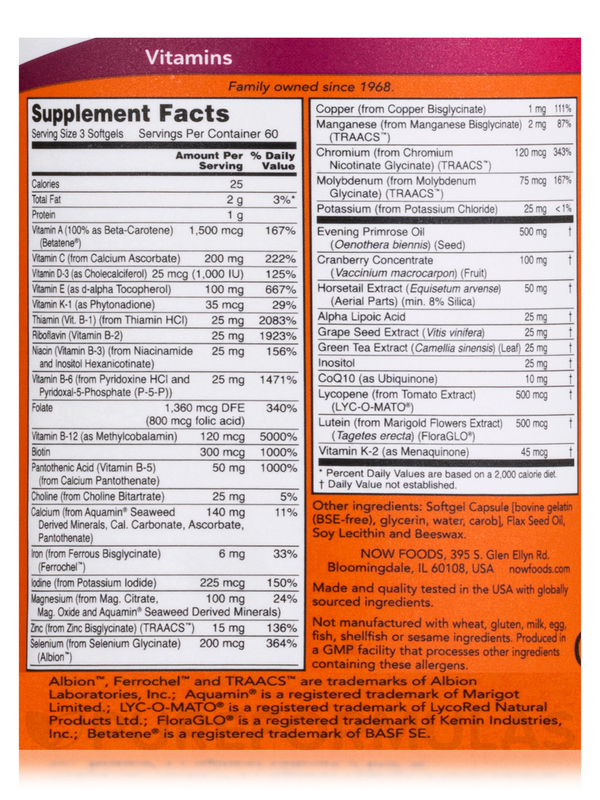 Multivitamin with methyl B-12 Contains most of the required vitamin and minerals.